Do you or does someone you know need help navigating a transition in life? Or addressing a health problem rooted in the stress from a past event? Homeopathy may be able to help you. Change is constant. Yet there are some transitions in life, both personal and universal, which can have a significant impact on us. This will be different for everyone, according to our constitutional make up, and our previous life experience. Transitions such as birth and death, puberty and menopause, have psychological and physical repercussions, and challenge us to let go of the old and accept the new, since we have no control over these changes. Even the most joyful and positive of transitions can be stressful (a new baby or a wedding, for example) as they take us into previously unknown territory on our life journey, and involve letting go of the old and the familiar. As we move into autumn this month, many of us are facing new beginnings: a new school or college, a new academic year, or perhaps a new job or beginning retirement. These may be attended by anxiety, as well as a sense of adventure and excitement. For some, the challenge of particular transitions is overwhelming, and proves to be a source of emotional and physical suffering long after the event. Each stage of life, and the major life events we can experience, affect each person differently, and our health is affected in different ways too. Some also find the regular transitions of everyday life can be uncomfortable and symptomatic – from the conflicting demands of work and home life, to monthly hormonal transitions which for some women can be very disruptive. The daily transitions of waking and going to sleep can also be difficult, with sleeping difficulties and chronic tiredness common problems for many. Homeopathy can be helpful for those who find their health and emotional balance disturbed by life changes. 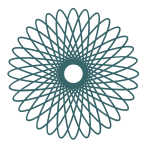 For example, many women find homeopathy effective in the menopause, with symptoms including hot flushes, insomnia, headaches, mood swings and loss of libido. Puberty can be especially challenging, with the combination of hormonal changes, the demands of school and exams, and navigating adolescent relationships and how to fit in socially. Here, homeopathy can help to reduce symptoms associated with hormonal changes, and balance and regulate fluctuating emotions, including anxiety associated with exams and school work. Parents meet many joys and challenges, from the conflicting demands of work and home, to exhaustion, breastfeeding difficulties, and children’s health problems of all kinds. Homeopathic treatment for parents and children can help to minimise the effects of lack of sleep, address long term health conditions, and deal swiftly with acute infections. 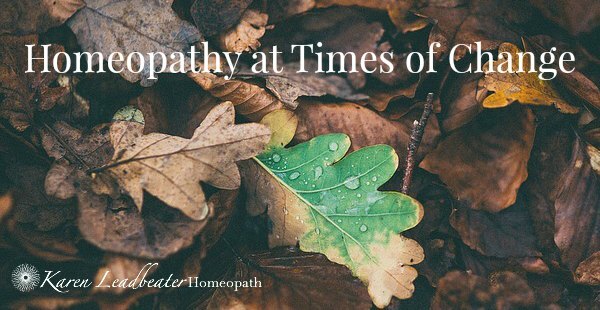 If you would like to talk to me about how homeopathy might help you, get in touch for a free 20 minute chat or video call, or to book an appointment.